Millennials have a reputational rap sheet a mile long. They speak in emojis. They still live with their parents. They’d rather marry their start-up company than a soul mate, and they disdain conformity. Schreger is the co-owner of Brooklyn’s newest comic book shop, Mama Says Comics Rock, and if the idea of a millennial comic-book-shop owner—in Brooklyn—seems to confirm every negative stereotype you’ve ever held about the millennial generation, you’d be forgiven. And quite possibly wrong. While Schreger may be an alum of Brooklyn Heights’s arts-oriented St. Ann’s School—where grades aren’t distributed and creativity is highly rewarded—his off-the-beaten-path sensibilities have always had a grounding in reality. Which is why his father, a well-known lawyer and Brooklyn native, first chuckled at his son’s entrepreneurial notion and then quickly started talking business strategy. “Our conversations went from ‘Oh, wouldn’t this be nice,’ to ‘Here’s how this actually could work,’ and eventually ‘Here’s how this will work,’” says Schreger of his discussions with his father. (One of the biggest factors, both Schregers say, was the closing of Bergen Comics in nearby Park Slope. The store’s owners plied Schreger and his business partner with advice—and delivered a community hungry for a new store.) Just six months later, Mama Says Comics Rock—adorned with DIY urban decor, bright white walls, and hundreds of comics—opened. 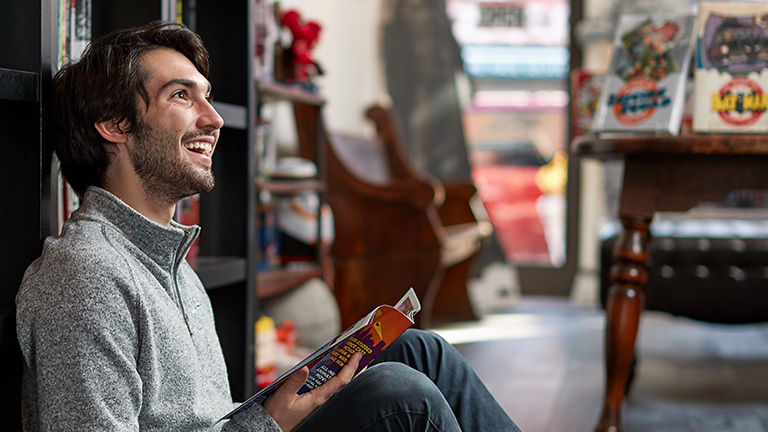 A neuroscience major, Schreger is fascinated by the psychology of human behavior, and he says that his interest in human interaction has made retail a natural fit. As for running a business, he says that Mama Says is meeting his early financial goals, though he declines to say what those are. The shop had a very good holiday season, and as Mama Says approaches its one-year anniversary, Schreger is cautiously optimistic about its future. Which is a rather conventional thought—for a millenial. 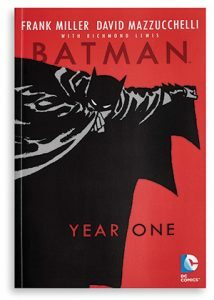 Since its release in 1987, Batman: Year One has been considered the premier origin story for the caped crusader, who also happens to be the first comic book character Schreger fell in love with. While Batman may be Schreger’s first love, it’s the Joker who has stolen his heart. 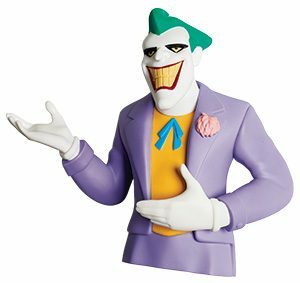 “Whether it’s the complex craziness of his psyche, the number of different takes on his character, or the way he affects all of the other players in the Batman universe, the Joker has always been a character that I’ve been drawn to and constantly want to learn more about,” he says.